The Song Thrush is common in cities and towns, so the chances that you will see this bird are quite good. In summer it can sing a beautiful melodious song from the top of a tree, always with repeating schemes. 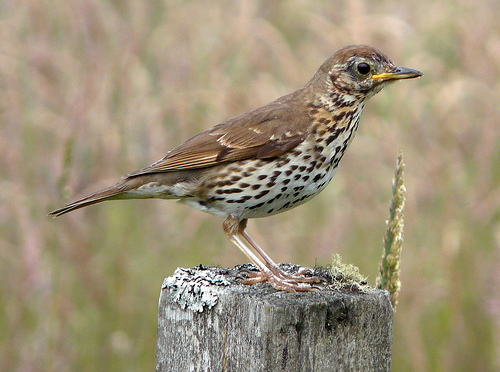 The Song Thrush has a white chest with black dots on it. The female Blackbird is plain brown. 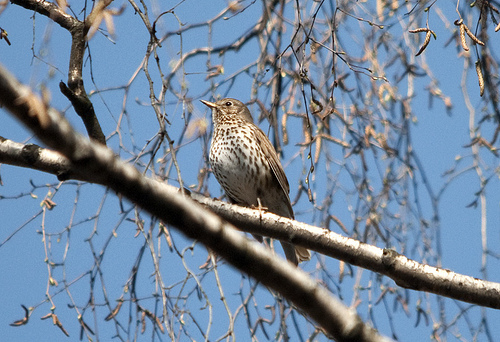 The Song Thrush has pointed spots on the breast and belly and is smaller and more compact. The Mistle Thrush has round spots.